His 2nd wife is 4 years old. But a horrific story hides behind these happy pictures. 4-year-old Abby comes from New York. Behind her beaming smile lies a terrible secret: she has acute lymphatic leukemia, a form of cancer that mostly affects children. 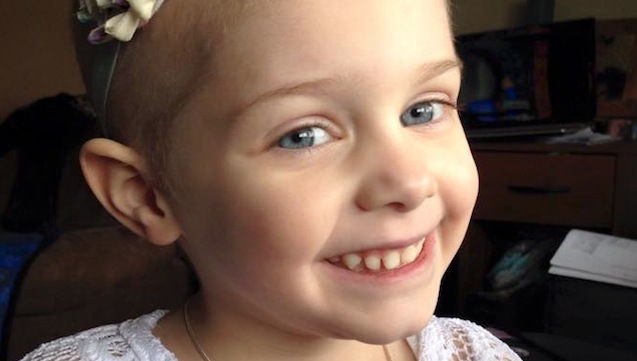 At the moment she is a patient at the “Melodies Center for Childhood Cancers,” a specialized clinic in New York. Even though she is fighting for her life, the little one is remaining optimistic, while the dangerous illness takes its toll on her health. 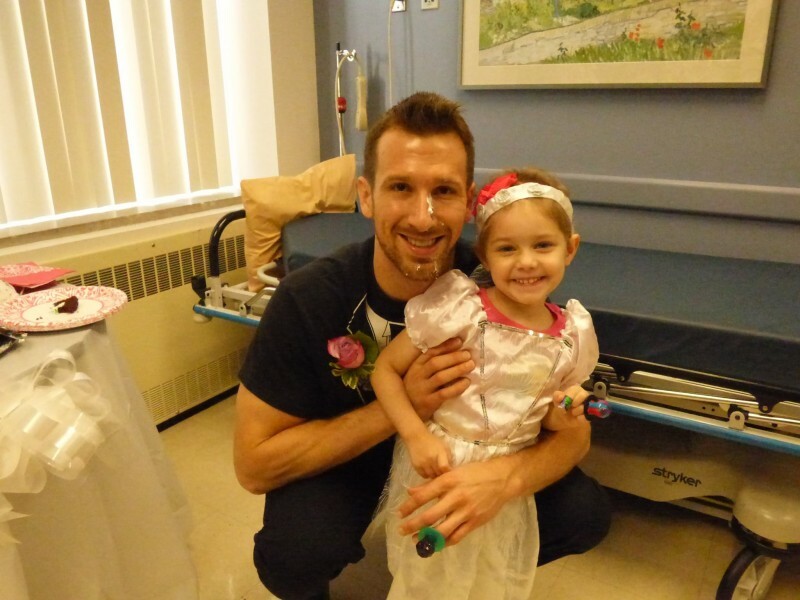 But there is a ray of sunshine in the darkness: Abby has befriended her favorite nurse, Matt Hickling. She visits him everyday to get her shots. She likes Matt so much that she’d like to marry him. Abby tells her mother about her marriage plans and explains that at her next visit, she plans to stick a ring on his finger. When Matt learns of the little one’s plans, he is immediately excited. He knows how much this will cheer Abby up. So he begins to consider how he can best conduct the “wedding” with Abby. 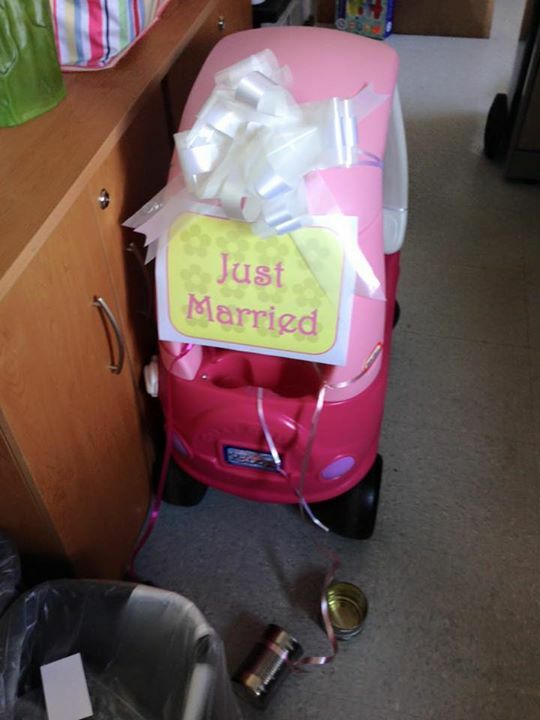 With some help from his colleagues, Matt manages to plan a surprise wedding for the next day. Abby receives a wonderful dress and Matt dons a tuxedo shirt. 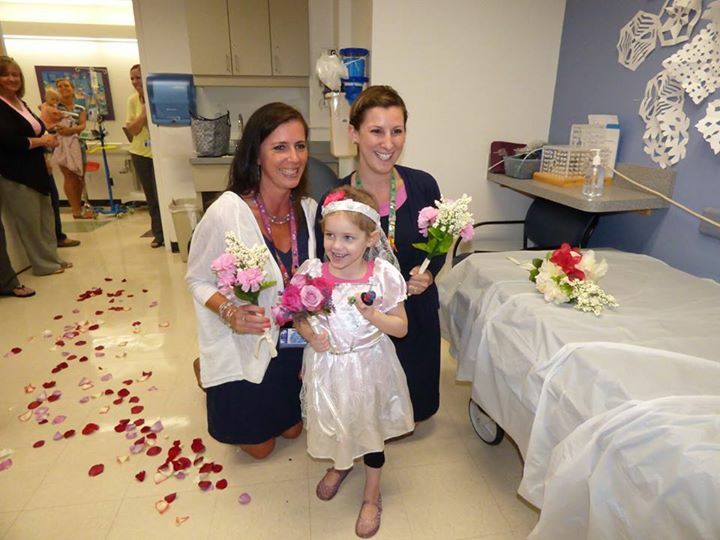 As Abby enters the hospital room, she is greeted with flower pedals and singing guests. On this day she forgets her illness for just a moment. “Do you take me to be your husband?” asks Matt. “Yes!” yells the little one and hugs her nurse. Here you can see the moving moment in video form. The two exchange candy rings and, as per custom, feed each other wedding cake. Honestly, this nurse is one of the best nurses on the planet. He really did everything to help Abby get back on her feet again. In the end, optimism is so very important for these little patients, as often they cannot understand the situation. When you were also so moved by this overwhelmingly beautiful pep up, then share this story with everyone you know.